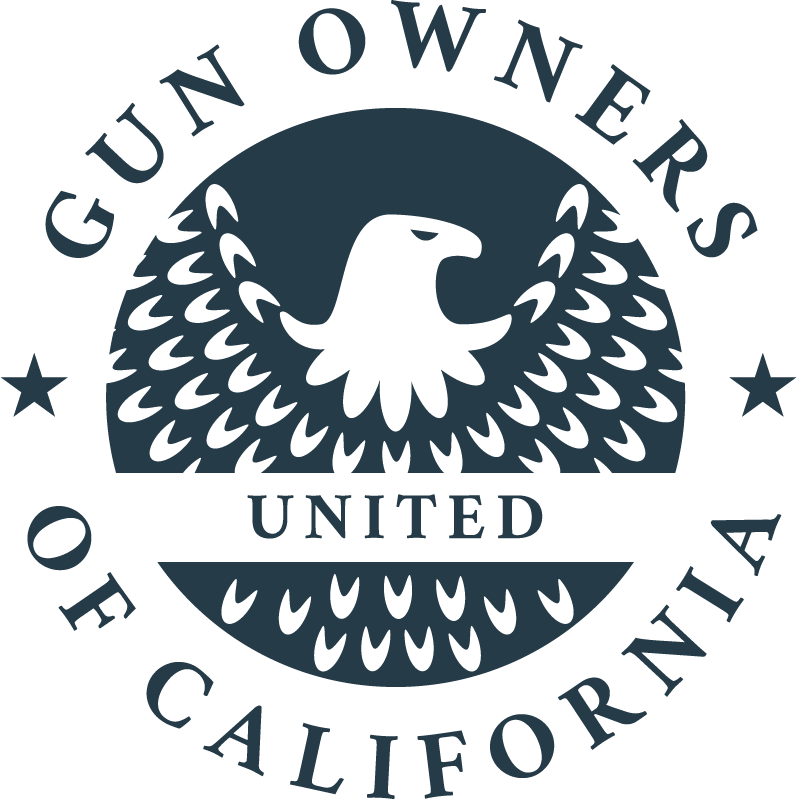 Gun Owners of California continues to place a strong and strategic emphasis on the courts. We have become a noteworthy participant in almost every major gun-related case (in state and federal levels), and we have a terrific legal team who share our passion for the 2nd Amendment. STATUS: On January 18, 2019, the United States Supreme Court docketed the case, meaning that they opened an official file, and were open to receiving associated briefs. This is the first step in gaining a grant of certiorari (agreement to hear the case). Jeremy Kettler was convicted of possessing an unregistered firearm sound suppressor in violation of the National Firearms Act of 1934. He challenged whether the NFA continues to be a proper exercise of Congress’s taxing power due to changed circumstances, and if so, whether it imposes an impermissible tax on the exercise of a constitutional right. The Tenth Circuit concluded that it was bound by the Supreme Court’s decision in United States v. Sonzinsky (1937), upholding the NFA, and that only this Court could overturn its own decisions. The Tenth Circuit also concluded that the Second Amendment protects only “bearable arms,” not including firearm accessories such as sound suppressors. The questions presented are: 1. Whether the National Firearms Act of 1934, upheld in Sonzinsky, continues to be a constitutional exercise of Congress’s taxing power when the justifications for that decision have significantly eroded over the last 82 years. 2. Whether the Second Amendment protects firearm accessories such as sound suppressors. 3. Whether the tax imposed by the National Firearms Act, targeting the exercise of a Second Amendment right, violates the rule of Murdock v. Pennsylvania (1943) and Cox v. New Hampshire (1941). If the court finds that the NFA is no longer constitutional based on the court’s own more recent decisions, then the firearms and accessories controlled by the act will be protected arms under the Second Amendment. STATUS: On February 19, 2019, the United States Supreme Court requested a response from the State of New Jersey who did not submit a brief on this case, an unusual but very encouraging request which shows interest in the issue by the high court. This case argues that the right to keep and bear arms extends outside of the home and that the State of new Jersey unconstitutionally denies that right by requiring law abiding citizens to show a special need before they can be permitted to carry a firearm. This case also argues that the Third Circuit Court of Appeal’s use of “Intermediate Scrutiny” to come to their conclusion that the State of New Jersey was justified, was a direct violation of Justice Antonin Scalia’s admonition that lower courts refrain from using judicial balancing tests and instead use the textual, historical and traditional meaning of the words in the Second Amendment. STATUS: On January 22, 2019, the United States Supreme Court agreed to hear the case this session. This case challenges the City of New York’s restrictions on the transportation of legally owned and registered firearms anywhere outside the home or business except to a few government permitted locations. Gun owners are prohibited from transporting their firearms outside of the city for training, recreation or any other purpose. This is a clear violation of the right to “bear arms” outside of the home. The Second Court of Appeals ruled that the Second Amendment only protects the right to keep arms in the home according to their very narrow interpretation of the Heller v. DC and McDonald v. Chicago decisions. The appellate court came to its decision by using a judicial balancing test that was specifically warned against by Justice Scalia in Heller. Courts nationwide have chosen to ignore or defy the high court and this case will give the Supreme Court the opportunity to correct this situation once and for all. STATUS: In June 2015, the “en banc” panel of the 9th Circuit Court of Appeals heard oral arguments. In June 2016, the panel ruled 7-4 in favor of San Diego County, holding that the government’s denial of the only means of carrying a firearm under state law does not implicate the Second Amendment. This decision reverses an earlier three-judge panel decision of the 9th Circuit, and now stands in direct conflict with the Supreme Court’s decision in Heller III v. District of Columbia. The plaintiffs recently petitioned for a Full Court En Banc Rehearing by all sitting members of the 9th Circuit. A decision from the Court on whether to rehear the case is expected in the next few months. STATUS: In light of the Peruta ruling, a decision is likely to be made at any time. STATUS: The Richards Plaintiffs have joined the Peruta Plaintiffs in petitioning for a full court en banc rehearing by all sitting members of the 9th Circuit Court of Appeals. A decision from the Court on whether to rehear the case is expected in the next few months. STATUS: On March 4, 2015, the 9th Circuit upheld the lower court's denial of plaintiff's request for a preliminary injunction. The case was set to resume in the trial court following the resolution of Peruta, but the passage of SB 1446 prohibiting the possession of 10+ round magazines statewide now preempts the local ordinance. Repeal of the ordinance or a preemption claim will follow. STATUS: On September 3, 2015, the Court grants dismissal of the action of the plaintiffs against the defending parties. STATUS: The federal district court held the Roster is constitutional on February 25, 2015. Plaintiffs have appealed. The case has been fully briefed before the 9th Circuit and oral arguments are to be scheduled in late 2016 or early 2017. After oral arguments are concluded, a decision is likely to follow within 3-9 months. STATUS: The case is currently being appealed to the 9th Circuit. Oral arguments took place before the 9th Circuit on February 9, 2016. A decision can be made at any time, but is expected to be made in the next 3-9 months. STATUS: On March 2, 2015, the District Court issued its opinion granting the Defendant's motion for summary judgment, upholding California's use of DROS fees to fund the Armed Prohibited Persons System (APPS) as constitutional. Plaintiffs filed an appeal to the 9th Circuit. The case has been fully briefed and oral arguments are likely to be scheduled in in late 2016 or early 2017. Parker V. California - Challenge To "Handgun Ammunition" Sale Registration Requirement And Mail Order Ban (Senator de Leon’s SB 962). STATUS: The case is currently awaiting oral argument before the California Supreme Court. Oral arguments could be set at any time. The timeframe for decisions from the Supreme Court can vary, but they often come within a few months of the oral arguments. STATUS: Plaintiffs dismissed the case and are seeking to recover attorneys’ fee. Doe V. Harris - CA DOJ Regulation Prohibiting Sale Of More Than One Handgun In 30 Day Period To Valid Certificate Of Eligibility Holders. STATUS: The California Trial Court upheld the DOJ regulation, and the plaintiffs have appealed the decision. The case is to be briefed before the California Court of Appeals, and oral arguments are likely to take place in late 2017. Tracy Rifle And Pistol V. Harris - 1st Amendment Challenge To Handgun Advertisement Prohibition. STATUS: In July 2015, the district court denied a request to prohibit enforcement while the case was proceeding. That decision was appealed, and in February 2016 the 9th Circuit upheld the lower court’s order within two weeks of oral arguments. The litigation in this case will now resume in the lower court. Belemjian V. Harris - Challenges CA DOJ's Underground Regulations Regarding The Firearm Safety Certificate Program. STATUS: The DOJ was forced to begin the process for enacting regulations for the FSC program on February 2015. The Plaintiffs are now appealing the lower court’s denial of Plaintiffs’ request for attorneys’ fees. The Plaintiffs have fully briefed their appeal to the 9th Circuit and are waiting for oral arguments to be set. NSSF V. California - Challenges To Microstamping Requirements. STATUS: The California trial court upheld the microstamping requirements, and the plaintiffs appealed. The case has been fully briefed before the California Court of Appeals, and oral arguments are likely to take place in late 2016 or 2017. STATUS: This case has been fully briefed before the 9th Circuit Court of Appeals and is awaiting oral argument. Oral arguments are expected to take place in 2016, with a decision to follow within 3-9 months after oral arguments conclude. STATUS: Case was dismissed without prejudice (without loss or waiver of rights or privileges). STATUS: The case was stayed pending the final resolution of Peruta. The timeline for this case is currently unknown. STATUS: The case was filed on January 15, 2016. On February 18, 2016, Daly City filed an answer. The case is now in the discovery process. No timeline is currently available. STATUS: This case is currently being litigated in the federal district court. A hearing on the Plaintiffs’ motion for summary judgement will take place in late 2016. STATUS: In light of the Peruta ruling, a decision is likely to follow. STATUS: On February 4, 2016, the 4th Circuit overturned the district court’s approval of the ban under intermediate scrutiny, and ordered the district court to apply “strict scrutiny.” The State appealed and the case was reheard by the full 4th Circuit sitting “en banc” on May 11, 2016. A decision from the 4th Circuit can be expected anywhere in the next 12 months. STATUS: Oral arguments took place before a 3-judge panel of the 10th Circuit Court of Appeals on September 28, 2015. On March 22, 2016, the Court ruled that Plaintiffs did not have standing to bring their claims and ruled against the Plaintiffs’ appeal. STATUS: In September 2015, the D.C. Circuit issued an opinion striking down the majority of Washington D.C.’s firearm registration requirements as a violation of the Second Amendment. On October 19, 2015, D.C. filed a petition for an “en banc” rehearing of the case by a larger panel of the D.C. Circuit. On February 26, 2016, the Court denied the request for “en banc” review. Sharp, et al. v. Attorney General Xavier Becerra, et al. An amended complaint has been filed by plaintiffs as well as a new motion seeking a preliminary injunction in this civil rights lawsuit pertaining to the California Department of Justice’s failures in the implementation of the ‘bullet button assault weapon’ registration program. A three-judge panel of the 9th Circuit Court of Appeals ruled that it is a Constitutionally protected right to openly carry firearms for self-defense in public. This is a stunning decision; it is still uncertain, however, whether the three-judge decision will be re-visited by an 11-judge panel. If the ruling stands and the State of Hawaii does not appeal to SCOTUS, the ruling will apply only in Hawaii, unless other states under the jurisdiction of the 9th Circuit sue to have it apply to their states. Filed by CRPA, this case challenges the entire California “assault weapons” regulatory scheme as a violation of the U.S. Constitution, which includes the Second Amendment, the Fifth (takings) and Fourteenth Amendments (due process). The 9th Circuit Court of Appeals upheld the injunction of the so-called “high capacity” magazine ban issued by San Diego District Court Judge Benitez. AG Becerra asked the 9th Court to remove the injunction and the court refused. Until the court rules otherwise, law abiding citizens can continue to possess all legally possessed magazines that can hold more than 10 rounds. In response to SCOTUS’ refusal to hear Peruta v. San Diego, CRPA filed suit seeking to force the court to rule on the right to self-defense with a gun outside the home.